Unite with other teachers on the music staff. The music department must be unified with itself, totally committed to providing the highest caliber of music education for children. Infighting cannot be tolerated. Be sure your actions are always student-centered. The “I don’t want to lose my job” approach is not as effective as the potential lost benefits to children and their overall development in our educational system. You are not alone. Get to know your music parents, community officials, business leaders, etc. Cultivate them for your team. A united effort involving multiple community resources creates a strong and powerful force. Use numbers to your advantage. 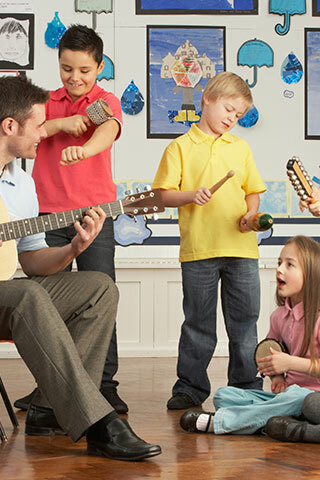 Music is offered to all students. Use the total number of students enrolled in your public (or private) school district or state when discussing the benefits of music education. Define your purpose. Develop a mission statement. Succinctly state your purpose for involvement in music education. Make this concise document available to anyone who visits your classroom. Get to know your administrator, school board members, and school counselors. Send them invitations to concerts. Ask them how they feel about arts and music education. If they oppose arts in schools, ask them why. The key is to listen, not react and defend. Find out the percentage of funding available to all other school programs. Work with your local music dealer, community service clubs, industry leaders, etc. Become acquainted with these community leaders. Invite them to concerts, band parent meetings, advocacy sessions, school board events, and/or daily rehearsals. Know your local and state legislators. Find out your local state legislators’ names (and the names of their staff), addresses, phone and fax numbers. Ask your music parents if any of them have assisted during one of their campaigns. Ask these government officials how they feel about arts education. Invite them to your concerts, and send them your mission statement. Schedule a concert where all groups perform at the same event. Provide an impressive showcase of talent and educational consistency within the department by performing a concert involving all grades K-12 music students. Set up a phone tree/fax system for efficient communication. Communicate frequently with parents, government officials, community leaders, and anyone who should be interested in supporting arts education for students.